...The Kingdoms of this world are become the Kingdoms of our Lord.... Amen. 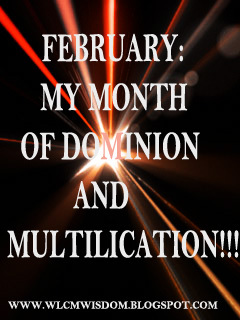 (Rev.11:15 KJV): February: My Month of Dominion and Multiplication!!! I have a word to share with you! Just a Word! I want you to know that the only thing and person that can stop you from progressing this month is “you” but if you do not then no man is permitted to dare the work of God in your life. if you believe that say Amen! God has given you the power to dominate, dominion over the challenge of life. Faithful is he that calleth you, who will also do it (1Thessalonians 5:24). What is that thing that you have been struggling to achieve, to have, to attain? I may not know what you have experienced in life that is weighing you down, that makes you to sigh in secret and ask God why, all those I may not know but what I know and believe is that God had given you power to have dominion, you carrying the light of God, you were fearfully and wonderfully made and the light of God is in you to dominate any form of darkness that may attempt to redirect you from the purpose of God in your life! And the light shineth in darkness, and darkness comprehended it not. 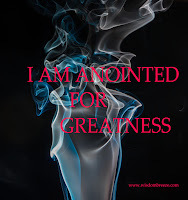 if you are a child of God and you believe in the power of the resurrection of the only begotten son, the power that raise up Jesus from dead will comprehend every darkness around your life, marriage , relationship, business, career, education and ministry in Jesus’ name, Amen! You are a divine project, you are not to be abandon, you are a contract to your God and He will never abandon you. You are sealed for greatness, so don’t you dare believe what the enemy has told you because he is a liar from the beginning. You are a winner, you are the head and not the tail, and you are a giver not a borrower. Your enemies can’t do you anything, they are just busybodies. I want you to understand therefore this day that the LORD thy God is he which goeth over before thee; as a consuming fire he shall destroy them. For His eyes run to and fro throughout the whole earth, to shew himself strong in the behalf of them whose heart is perfect towards Him, Seeing it is righteous thing with Him to recompense tribulation to them that trouble you. After God gave man dominion over everything, he blessed them and said unto them, be fruitful and multiply and subdue it. 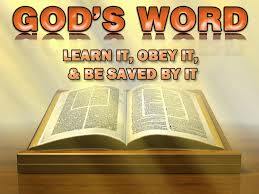 Earth O Earth hear ye the word of God. In the name of Jesus, I declare upon your life from today fruitfulness, you will move from multiplication to multiplication, sickness, disappointment, rejection, sorrows is subdue, surely he hath borne our griefs, and carried our sorrows…but he was wounded for our transgression, he was bruised for our iniquities: the chastisement of our peace was upon him; and with his stripes we are healed. I declare your marriage heal, your business, relationship education, career and ministry heal in Jesus’ name, Amen! You will replenish in all your endeavours. Receive power and grace to subdue ever scorpions and serpent against your life, whosoever digs a pit for you will fall into it. Break forth into joy, sing together, ye Readers and Leaders of wlcmwisdom’ blog: for the Lord hath comforted his people, he hath redeemed you. With a grateful heart, I usher you into the Month of February… your month of dominion and multiplication. Happy new month beloved readers and Leaders…Congratulations!!! Yes oo, I'm a divine project. I'm highly Inspired, this month we shall excel. Checking on you dear, how are u doing? My beloved Miriam, It is well...the favour and the Grace of God is upon my Life! And this Month we will excel in Jesus' name, Amen! The only person that can stop me is me and I refuse to be stoppable. I am totally unstoppable. I am a seed. Even if you force me into the ground, I will sprout and grow to be even bigger and better. Have a very blessed month, Lucy! I am a seed. Even if you force me into the ground, I will sprout and grow to be even bigger and better. This is so powerful Precious...I join my faith with yours and declare so shall it be in Jesus' name, Amen! *smiles* I checked on all my Ministers everyday! Stay blessed our Women's president! Beautiful beautiful. Amennnn. My pastor how are you? *smiles* Pastor Gloria it is well! If you need to talk am a phone call away. *Smiles* It is well Glo-Love!! U still aren't here? Can you share? Amen I received every declaration IJN. 'God has given you the power to have dominion' - Powerful! Have a great day Lucy. Amen! My month of greatness. How are you Lucy? Thank you so much for coming, remain blessed and lifted in Jesus name, Amen.